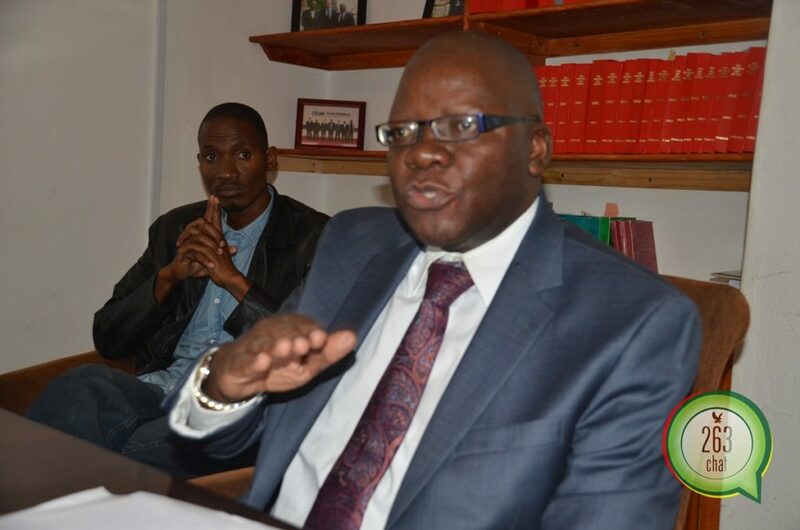 Opposition MDC leader Tendai Biti’s lawyer and aides yesterday pleaded not guilty to charges of violating the country’s immigration laws when their trial commenced before Karoi Provincial Magistrate Court. Biti’s lawyer Nqobizitha Mahole Mlilo aged 39 and the Harare East constituency legislator’s aides Clever Rambanepasi (41) and Tawanda Blessing Chitekwe aged 36 are on trial on charges of failing to present oneself to an immigration official as defined in Section 25(1) as read with Section 25 (5a) of the Immigration Act. Mlilo, Rambanepasi and Chitekwe, who are out of custody on $100 bail each, were arrested in August 2018 together with Biti and charged with contravening the country’s immigration laws after they allegedly departed Zimbabwe on Wednesday 8 August 2018 via an unauthorized port of exit. Prosecutors claimed that Mlilo, Rambanepasi and Chitekwe, who were represented by Jeremiah Bamu of Zimbabwe Lawyers for Human Rights, connived at Chirundu One Stop Border post in Mashonaland West province and hatched a plan to enter Zambia by evading immigration clearance procedures from both Zimbabwe and Zambia and got arrested by officials from the Zimbabwean side of the border post. Mlilo, Rambanepasi and Chitekwe, the state claimed, failed to produce passports to both immigration authorities from Zambia and Zimbabwe to validate their exit and entry. The State led by Prosecutor Gerald Dhamusi was however left with an egg on its face as it was forced to withdraw the main charge of departing from Zimbabwe from a place other than a designated port of entry as in its own submissions, Biti’s alleged accomplices had “departed” Zimbabwe into Zambia through Chirundu One Stop Border Post, a designated port of entry in terms of the paragraph 1 (Border with Zambia) of the Part III (Entry or Departure by Road), of the Schedule to the Immigration Regulations S.I 195/1998). In denying the charge, Mlilo, Rambanepasi and Chitekwe argued that the charge cited by the State of failing to present oneself to an Immigration officer does not apply to asylum seekers such as Biti and themselves. The trio’s lawyer told Magistrate Sam Chitumwa that his clients were abducted from Zambia by Zimbabwean authorities led by Assistant Commissioner Jealous Nyabasa currently attached to the Criminal Investigations Department as the Deputy Director in the Zimbabwe Republic Police Anti-Corruption Unit. Nyabasa told the court that he was assigned to be the investigating officer against Hon. Biti whom the police intended to charge for alleged violations of the Electoral Act in the aftermath of the July 2018 harmonised elections. In the scope of his investigations, Nyabasa said he wrote to the Immigration Department informing the officials of persons wanted by the police which included Biti and requested them to alert its border posts to be on the lookout for the people on the ZRP wanted list in case they attempted “to skip the border”. Nyabasa claimed that he received information that Hon. Biti had been seen at Chirundu One Stop Border Post on the Zambian side prompting him to depart for Chirundu, where two Immigration Department officers Florence Nyathi and Morgen Moyo handed Biti and his alleged “accomplices” who had allegedly been deported from Zambia. Nyabasa told Magistrate Chitumwa that he then took the four men to Harare for further management. Nyabasa was left embarrassed after trying to convince the court that Biti’s alleged “accomplices” could not claim to be seeking asylum as a result of political persecution since they were not on the police wanted list. He however failed to maintain this assertion when probed by Bamu whether being on the police list was enough evidence of political persecution and whether he was in fact confirming that the police was a political organisation. During trial, the State called Shingirai Chimedza, a senior Immigration Department officer at Chirundu who gave testimony about the entry and exit procedures and who however confirmed that the provision under which Biti’s alleged “accomplices” were charged under does not apply to asylum seekers, who are not required to comply with exit and entry formalities but to subject themselves to the authority of the host country in which they seek asylum. Bamu told Magistrate Chitumwa that this is what Biti’s alleged accomplices claim to have done after their lives were put at risk as they were in the company of the legislator at Chirundu One Stop Border Post when an attempt was made on Hon. Biti and their lives by Zimbabwean security agents, who were attempting to abduct them from Zambian soil. Mlilo, Rambanapasi and Chitekwe’s trial continues on Wednesday 17 April 2019.